John Bisignano is a sales and property management industry expert dedicated to providing service and expertise that makes each transaction seamless and successful and the decision to choose an agent will be an easy one once you meet him. Johns hunger to succeed started early in his career. Commencing in a small boutique agency in Northcote, he entrenched himself in learning all aspects of the Real Estate business, which helped build a foundation to a long standing career. After working long term for 2 agencies in Northcote for nearly 20 years, John wanted a further challenge in his career, so in 2010 the dream to open his own agency became a reality and he made the decision to join the Harcourts Group and open his own office, in the street where he had be worked most of his career, right in the heart of happening High Street Northcote. 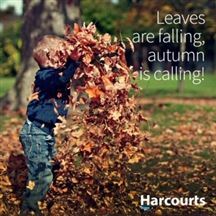 Fast forward to 2017, Harcourts Northcote is now celebrating 7 years of success and John with the assistance of his impressive team continues to be recognized in the City Of Darebin for his proven successes and fun Auction performances and has numerous awards as proof that he is one of Harcourts top performers in both sales and property management. John’s talent isn’t just limited to sales. He is the complete package with a great eye for detail, flair for styling and is adept in renovation. What sets John apart from his competitors and resonates with all that meet him can be attributed to his authenticity. He has a fresh, innovative, relaxed but professional approach and the ability to put himself in his client shoes when assisting them through a major step in their lives by providing tailored solutions, is what builds relationships that will last the course of time. Grace Collucio has real life experience of what it means to be a Property Manager. As a landlord of a private investment property, Grace brings first-hand appreciation of managing the expectations of both landlord and tenants and all that comes with that responsibility. 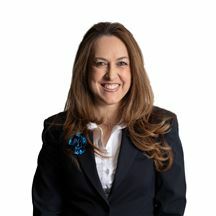 Commencing her working career in retail and promotions and having been recognised for delivering exceptional customer service, it was not by chance by Grace joined the Harcourts Northcote team in 2014 as the Director of First Impressions. As the first point of contact in the office, Graces high level communication skills, friendly disposition and ability to develop strong bonds with landlords and tenants, proved to be a winning combination and in 2017 was appointed to the position of Assistant Property Manager. 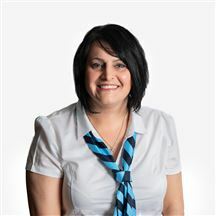 Grace loves music, keeping fit, spending time with her family and occasionally hitting the town for a Boogie! She also loves coming to work each day and considers her work colleagues to be like her second family, working together to make the right decisions for people and their properties. Grace believes it is a privilege to be a Property Manager and is dedicated to being the best she can be when servicing her clients. Meet Julie Sghendo. Recognised as being the “Master of Operations,” Julie is the go to person who gets things done. Formerly working within the clothing industry and a love for dressmaking, a fortuitous opportunity saw a move into Real Estate 20 years ago and Julie has never looked back. Now a seasoned professional, Julie has been with Harcourts Northcote since its inception in 2010. Being an efficient multitasker and team player are core requirements of Julie's position and she shines brightest when undertaking a large variety of responsibilities. From managing the administrative aspects of both the rental and sales department to liaising with landlords or assisting at Auctions, Julies positive energy creates a binding force within the team. Julie is a quiet achiever who values time with her family and friends. A respected and trusted member of the Harcourts Northcote team and sharing a 20-year working relationship with John Bisignano, Julie brings a wealth of Real Estate industry knowledge and expertise, always happy to lend a helping hand when needed.